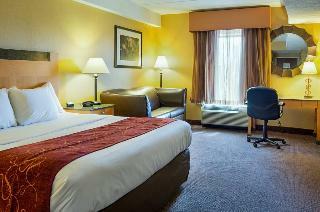 Stay where contemporary hospitality meets thoughtful amenities, at the Holiday Inn Richmond Petersburg North Ft Lee. Located just off I-95 at exit 53 in Colonial Heights, we offer a convenient gateway to Petersburg, Hopewell, Prince George, Dinwiddie, Chester, as well as Fort Lee and Virginia State University. Surround yourself with a diverse range of attractions, from the thrills of Virginia Motorsports Park to the Petersburg National Battlefield and Pamplin Historical Park to the bargains at Southpark Mall. Even if you're in Petersburg Colonial Heights to enjoy the great outdoors, we want you to enjoy our great indoors as well. Savor tasty grill favorites and delightful ambiance in the Mixing Bowl Restaurant, or dine in the privacy of your room. 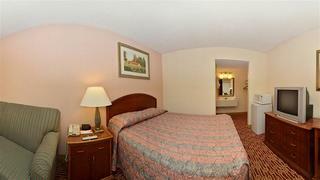 Enjoy the solitude of elegant rooms, featuring stylish dÃ©cor and the comforts of home. Stay current and connected with high-speed Internet access. Stock your refrigerator with snacks, drinks, and easy-to-prepare meals. Polish up tomorrow's presentation at your spacious work desk with ergonomic chair. Hosting an event? Select from over 6,000 square feet of event space, including 5 elegantly appointed meeting rooms. Trust our on-site event planners to design a flawless catered event. We're here, ready with all you need to make your trip to the Tri-Cities a success. We're the new Holiday Inn Richmond Petersburg North Ft Lee.